So I realised today that it is wayyyy too long since I updated my blog, but I have been really busy. Poor excuse I know, but it is true. Some of it has been work, some of it has been play, some of it (but not nearly enough :o) has actually been training, but I know as I sit here now that I am in not nearly good enough shape, and that with just three weeks to go that it is too late to do a significant amount about it. In the last month in fact, I have been away four times, which is nigh on crazy. 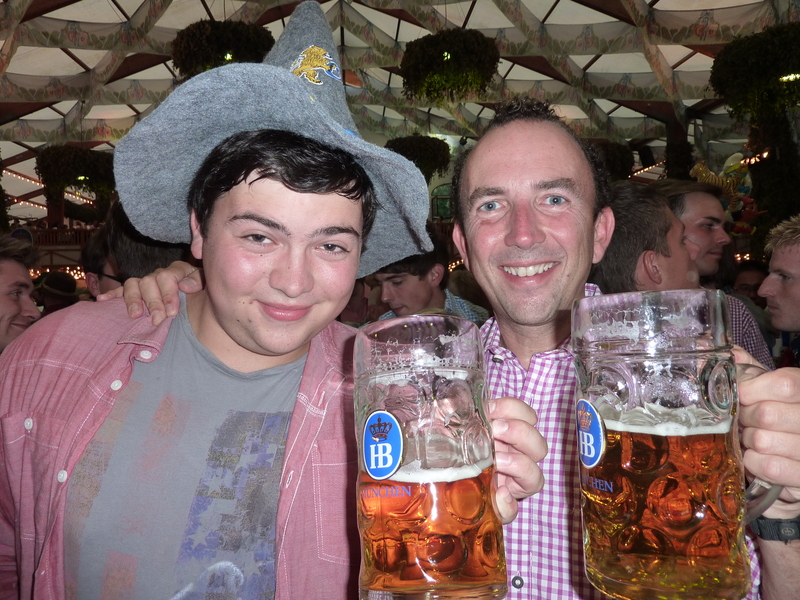 I have been to Cannes (work, mostly, with a smattering of nightlife thrown in too :)); San Francisco (well Santa Rosa in fact, and most definitely not work :)); the North East of England (Great North Run weekend, but no running for me); and then Munich last week for the Oktoberfest. Now I’ve decided to blame my son Dan for last one, as it is in fact his fault, which seems as good a reason to blame someone as any! 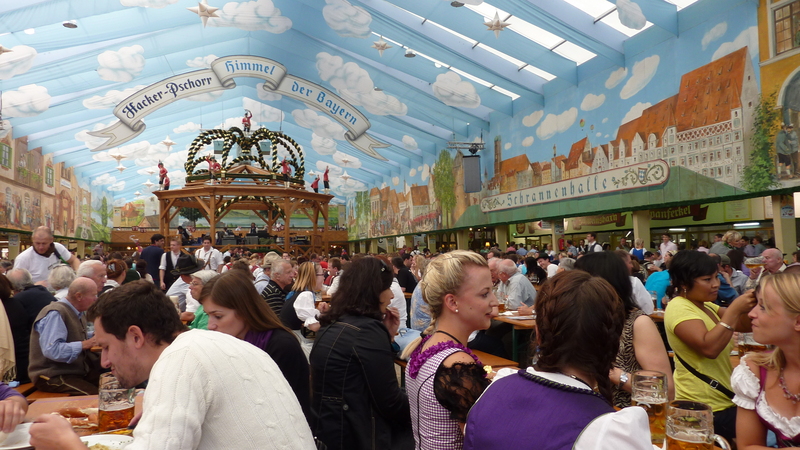 If you have followed this blog since last year, you may know that I went to the Oktoberfest then too. 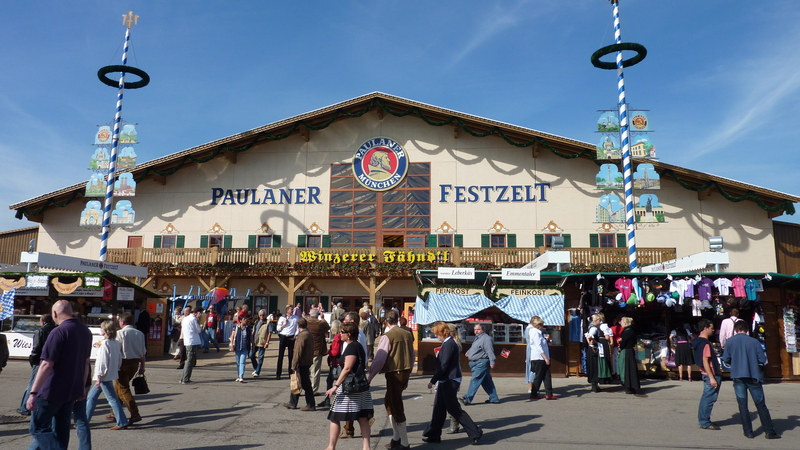 On that occasion there was a (somewhat puny admittedly) excuse, in that I was also en route to climb the Zugspitze, and the Oktoberfest was a nice little prelude (and indeed postscript :)) to that little foray. It ended up in a drunken mess of course, but I did not have a trip to Island Peak facing me, and so I could, I trust, be forgiven a little letting down of the few strands of hair that I have remaining. So when I was there last year, amongst the several drunken texts I sent was one to Dan, which went along the lines of “I promise to bring you next time”. Well two months ago I thought I had got away with that one, as I was starting to ramp up my training programme for Island Peak. He of course hadn’t forgotten at all, just like I wouldn’t when have done when I was a 20 year old who fancied going to the Oktoberfest a lot. So when he said those immortal words “Daaaaaaaaaaaddddddddd?”, I knew there was only one result. I had my arm well and truly twisted right up my back, probably. I shall post only picture here, one of he and me. It is about the most sensible one that I have. Do not ask me if I am wearing lederhosen!! Anyway, we had a belting time. 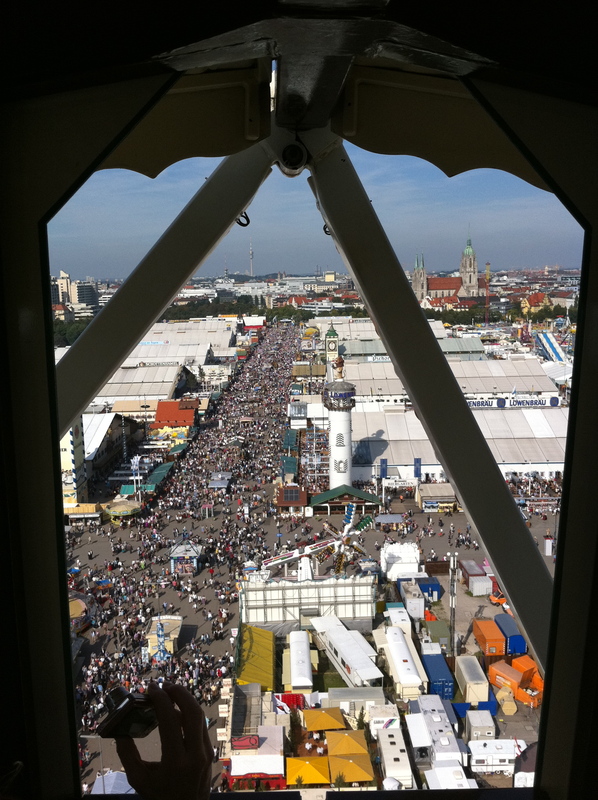 If anyone reading this is thinking even slightly as to whether going to the Oktoberfest is a good idea, I’d say only one thing – go. It is just about the most fun you can have with your clothes on, and I probably made the same statement last year too, and if I did, then it must definitely be true. 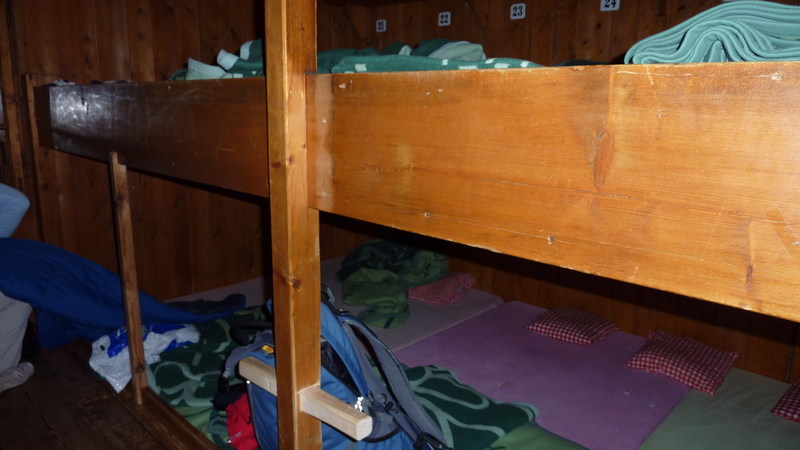 We spent three days there, which was more than enough, believe me. Sang our heads off, drank every part of our bodies off, and just had a blast. We even went and did a cultural tour of Munich whilst there too! It makes me very happy to be able to have such a great time with Dan – I am a lucky Dad indeed. I have now been back for three days, and spent one of those (well a few hours of one of them) back in the gym. Good idea, I thought – not, said my body. It is quite simply frightening how much inside a week you go backwards. I have to push myself now or I will regret things badly in a few weeks time (I go in just three weeks time now!!). Trouble is, in the meantime, I am away in Paris for the rest of this week (work, almost entirely, but probably a bit of socialising thrown in for good measure :)), and then back for just two days before I go to Dallas for six days (work, sometimes, some golf, and some probably very serious socialising thrown in whether I like it or not – I should tell you about ‘the carrot’ at Bob’s Steakhouse sometime!). I am also very very close to having all of my kit for the trip. Trouble is, that ‘all of my kit’ is probably more than twice the weight that I am going to be able to take. Time for some serious sorting to be done in my spare time! More of that in my next post. 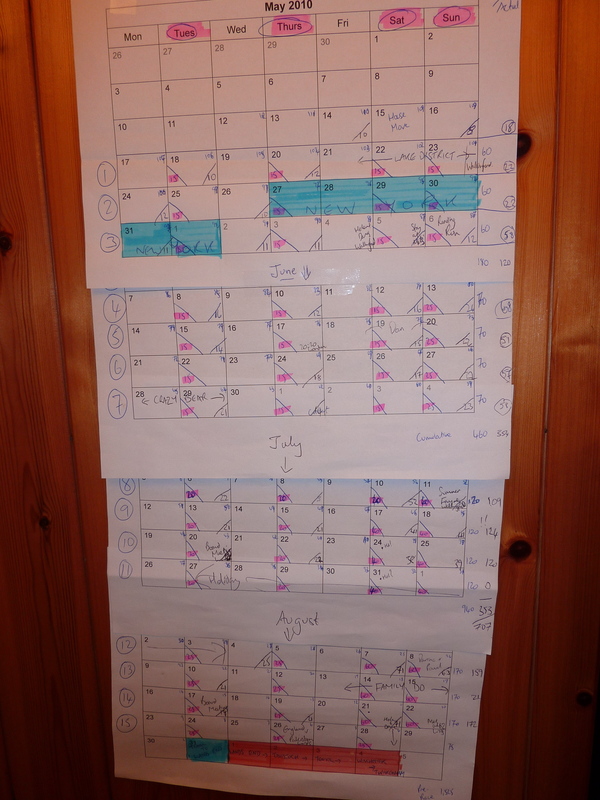 Anyway – the blog is back………the preparations, of (mixed) sorts, are ongoing too. I am now seriously excited about it – in a very mixed and balanced way this time though – more of that next time too – and soon, I promise. 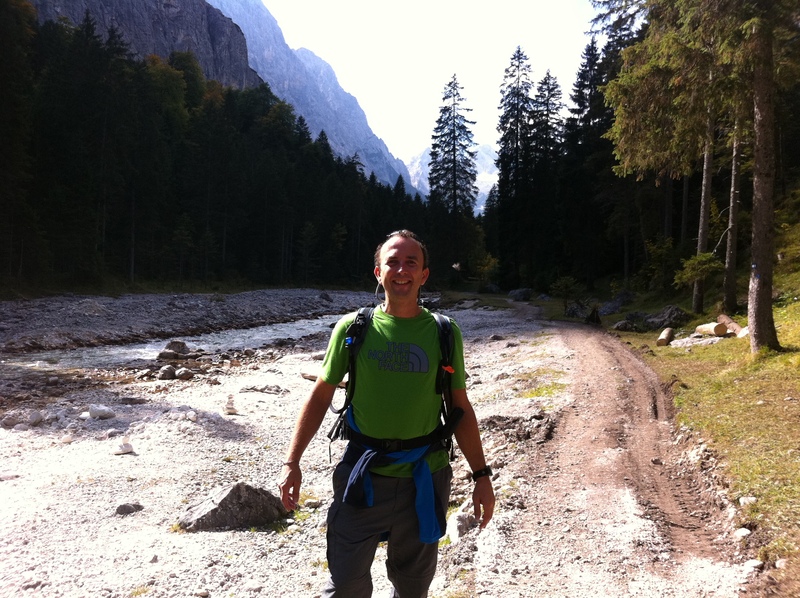 Paul and Darina – They Made It!! 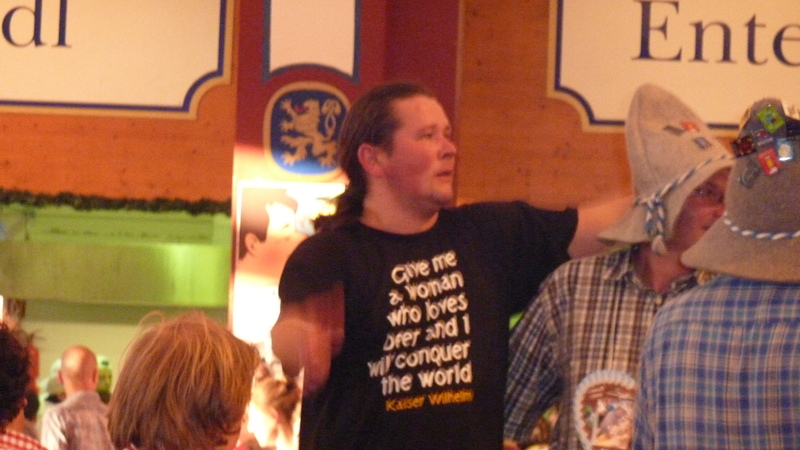 I am now back from my travels from the Zugspitze and also the Oktoberfest, of which more later. This is a brief dedication to Paul and Darina, who for those of you who have followed this page for some time, will know were away last week on a trip to attempt to summit the world’s highest free standing mountain, a certain Mount Kilimanjaro. If I told you that I was choked with happiness to receive this, then it would be a huge understatement. I told Heather at the time (we were sat in a mountain hut watching the weather in Germany) and I could hardly get the words out of my mouth. 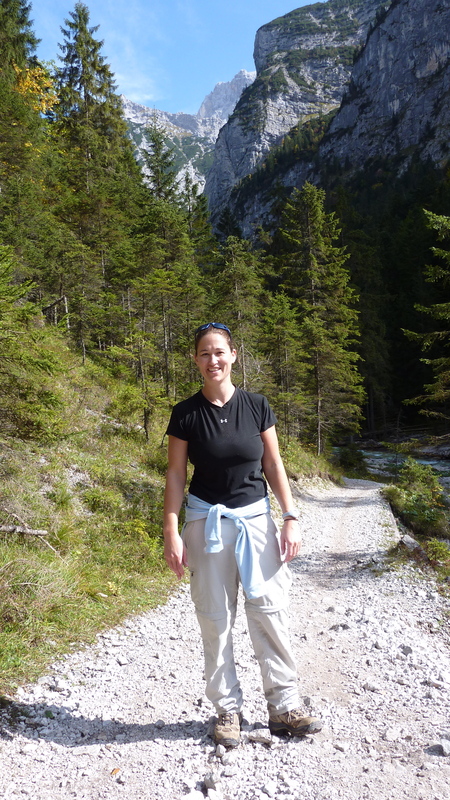 It more than made up for my disappointment of not being able to climb up the Zugspitze that very same day (of which more in a later post too, it can wait). So please go and see their blog (http://mykilimanjarotrek.blogspot.com), donate some money to multiple sclerosis, or just enjoy the fact that they did it. It is wonderful, it really is. I consider myself very very lucky to have come across two people as lovely as Darina and Paul. And I did so via this blog. They are simply two of the nicest, most genuine people you could ever meet. I just knew that they would summit, and I hoped and prayed for them and their safe travels. To get that message was fantastic, and I look forward to hear more about their adventures when they return – they are right now I believe enjoying a very well earned safari, somewhere in the Serengeti. So to Paul and Darina – well done my friends. You have been to a sacred place, where few will ever tread. It is the roof of Africa, and one of the ‘seven summits’ (representing the highest peaks on the seven continents). At just short of 20,000 feet (and 45% of sea level oxygen) a place where you rely on all of your senses and strength at once to get you to succeed in an atmosphere which tells you that you shouldn’t. I am massively massively happy for you. Can’t wait to see a picture of the certificates. 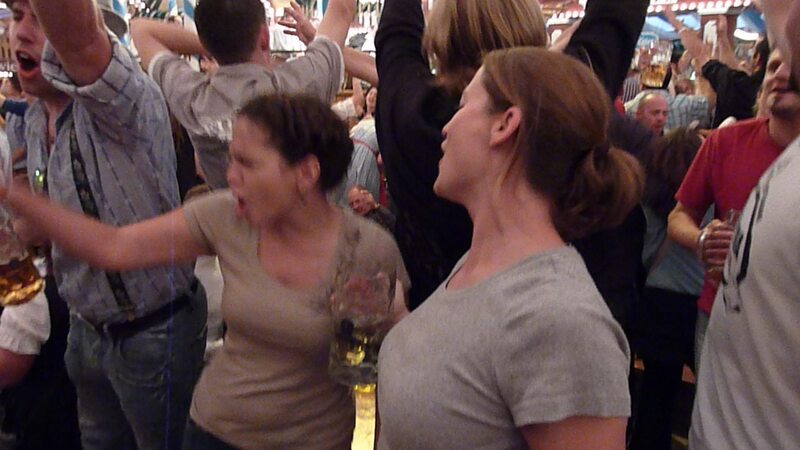 So tomorrow is the Oktoberfest! 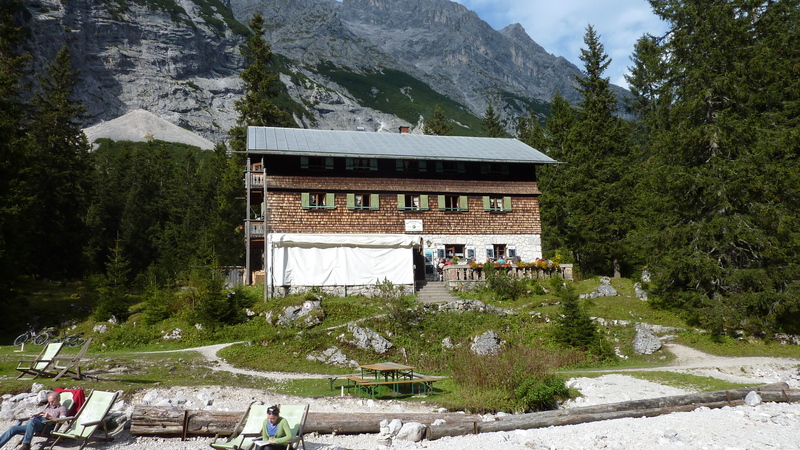 When all of the drinking is said and done (although that could be a while as I might enjoy it too much), then there will be the mountain, the Zugspitze. 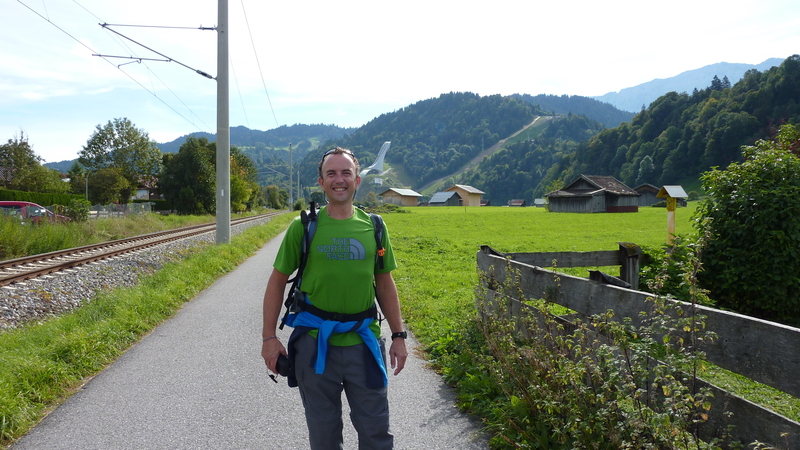 The journey will take us by train from Munich, complete with hangover, to Garmisch-Partenkirchen, and then it is a walk to the mountain from there. 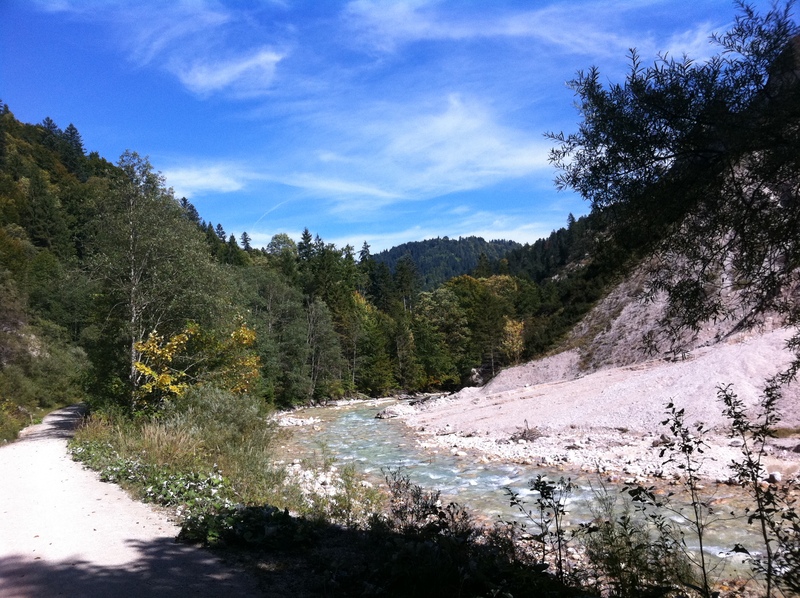 The mountain itself straddles the Austrian border, but is Germany’s highest mountain. I found this great set of three videos on Youtube which have great pictures, and so am posting them here and hope that it doesn’t infringe anything. How exciting are they? I guess we need to hire a harness and ‘stuff’ before we go up there – I cannot wait, and will post my own pictures and video in due course. 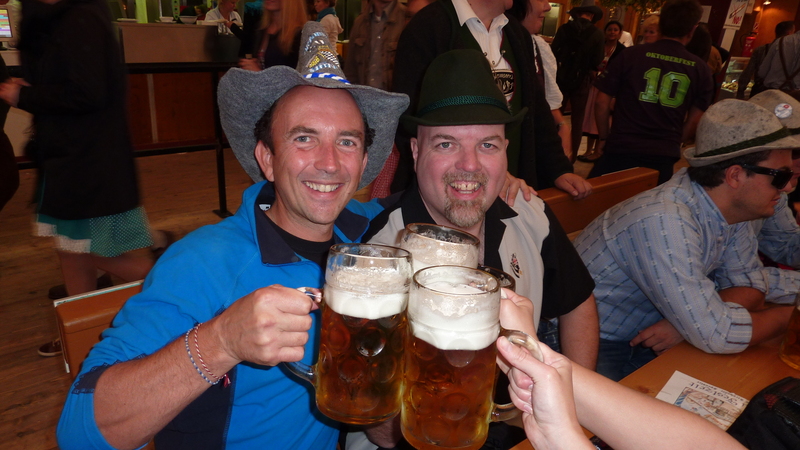 So for now – to Oktoberfest, and beyond! The very fact that they go tomorrow just made me hanker to be back there so badly. 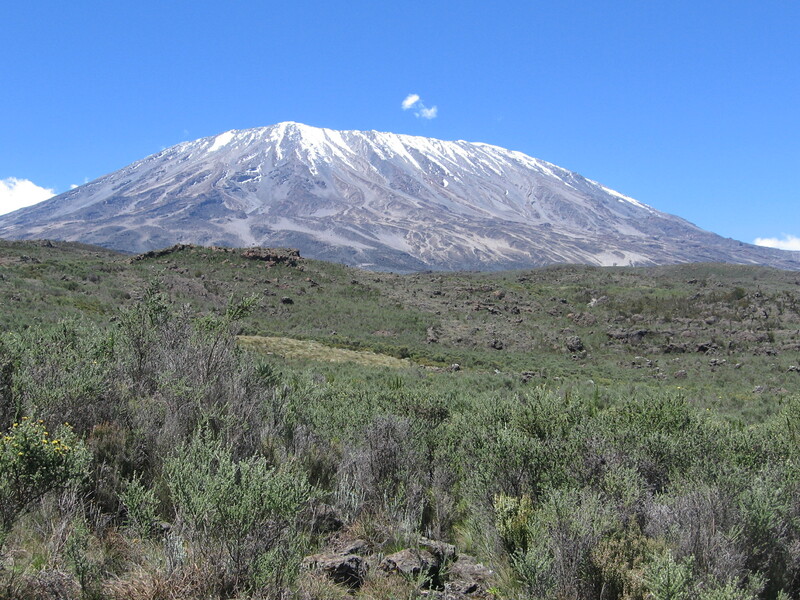 They say that Kilimanjaro never leaves you, and for me that will certainly be true. I sit here now in my kitchen and can see from my seat my Kilimanjaro certificate, a bottle of Kilimanjaro lager, a box of Kilimanjaro tea bags, and my Kilimanjaro fridge magnet – how could I forget! Darina and Paul will be doing the Rongai route, same one as I took back in March (I cannot believe it is half a year since it all happened), which makes everything even more real. I know where they will be every night, what they will be going through, and wish that I was there as well. They fly to Africa tomorrow, and will be on their way up from the Rongai gate on Monday, thus summiting on Saturday morning. I hope they have the time of their lives – good luck to both of you! 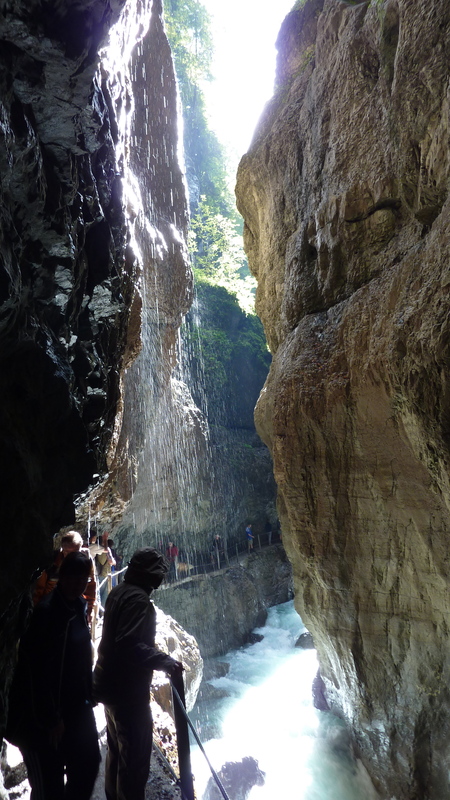 Apparently the trek to there is about half a day from Garmisch-Partenkirchen, where I will get to following the Oktoberfest, which I hope I survive! There are so many reasons that folks give for wanting to climb mountains, and ultimately every one of them is personal. It is what you yourself take away that matters, and what you want to get from them may not be what you expect. The feeling of “blessed” however, seems so fitting. OK, so that’s all for now, here’s a little piccie from half way up the world’s highest free-standing mountain to remind me of what it was all about back in March, and also for Darina and Paul (this one was after the Second Cave and before Mawenzi, they will walk past this very spot on Tuesday next). Have fun you two! So that is it. I am actually now officially tapering. For those who don’t know, and I was one of them until about 20 minutes ago, tapering is where you reduce your activities prior to a big event in order to optimise performance. The idea is that heavy activity depletes glycogen and muscle stores, and so you should refrain from it for a ‘period in time’ depending upon your event. Those nice people at the GBBR have suggested a week, and as there are nine days to go, then that sounds about good enough for me. You don’t stop altogether of course, as that would be counterproductive, and so I will be out every couple of days to do just 25 miles or so to keep the legs and muscles ticking over. But no more endurance rides – hurrah! They are not just very hard work, but do take up so much time. Take this weekend for example. Yesterday I cycled about 75 miles, starting at 10am and finishing around 3. By the time I had prepped, recovered (slowly I might add), showered etc, the day was mostly over. There are surely better things to do on a Saturday than to pound the hills of Berkshire, Wiltshire and Hampshire than that. And what do you mean ‘there aren’t any hills in Hampshire’ – oh yes there are, I have the sore legs to prove it! Today I did 65, and I had had enough by about 6.5, and so goodness knows what it is going to be like in just nine days time when we face the hills of Cornwall. Still, I have done over 1,000 miles since I started, and I cannot be too disappointed with that. I have a feeling though that in about two weeks time a “Steve Redgrave” moment will be approaching. Not in the success stakes I hasten to add, but in a twist of his now infamous quote after he won his last Olympic medal. In my case therefore it will be something like: “If anyone sees me on a bike ever again, they have my permission to shoot me”. So anyway, for now, let the tapering begin!